The Vasco da Gama boasts an unforgettable and intimate experience of fine dining, high class entertainment and luxurious cruising aboard this stylish modern boutique sized ocean liner. Cruise from Fremantle through the expansive Indian Ocean south towards the Southern Ocean with ports of call in Western Australia’s Albany and Esperance. 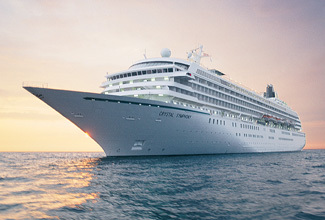 Cruise two of the world’s greatest oceans - the Indian Ocean and the Southern Ocean. The turquoise and emerald waters of Australia’s stunning Indian Ocean surrounds are home to an incredible array of marine life, whales, dolphins, dugongs and turtles make these balmy waters their home, The Indian Ocean covers 73,427,000 sq km or one-fifth of the world’s ocean area and its waters are the warmest of all the great oceans. Today, you will be personally met at your hotel by a DISCOVER AUSTRALIA representative and transferred to the Victoria Quay passenger terminal to board the Vasco da Gama for your 5 night cruise. Esperance offers the kind of natural beauty that borders on overwhelming, and a slow simplicity that will remind you that sometimes, the Earth’s treasures are all you need. Esperance is blessed with squeaky-clean white sand and turquoise waters. The Recherche Archipelago dots the seascape as far as the eye can see, lining the Esperance coast with more than 100 smooth, rock islands that are scattered in the vibrant blue ocean. Indeed, scientific tests have ruled that Esperance has some of the world’s whitest sand. Check out the arts centre and galleries, drop into the museum to view what's left of the NASA Skylab after it slammed back down to Earth near Balladonia. The historic town of Albany is located on the massive Princess Royal Harbour on spectacular King George Sound. It is blessed by a by a wealth of stunning surrounding natural beauty, the majestic Stirling Ranges, the Mt Barker Wine Region and the dramatic and rugged Southern Ocean coastline with it’s beautiful beaches. The town’s main street, York Street, is lined with vibrant cafes, restaurants and speciality stores. Albany is where the massive first Anzac fleet gathered from around Australia and New Zealand before departing in 1914 for World War I and is regarded as the birthplace of Australia's Anzac Day dawn service tradition. Visit the National Anzac Centre, one of Australia’s most important cultural pilgrimages, overlooking the actual harbour from which over 41,000 men and woman departed for the Great War. Immerse yourself in the Anzac Legend and follow personal stories through state of the art technology, multimedia and historic artefacts. Leaving the pristine waters of the South West behind, you head north back to Fremantle for your final nights of cruising. Relax on board the Vasco da Gama and make use of those free onboard activities and facilities before reaching land. Today marks the end of your South West adventure. Cruise back to Fremantle this morning and when you arrive you will be personally met at the Victoria Quay Passenger Cruise Terminal by a DISCOVER AUSTRALIA representative and transferred to the airport to meet your flight home. 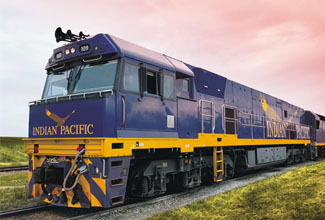 For customers travelling from Perth, the package is 10 days in duration, travelling Adelaide to Perth on the Indian Pacific. 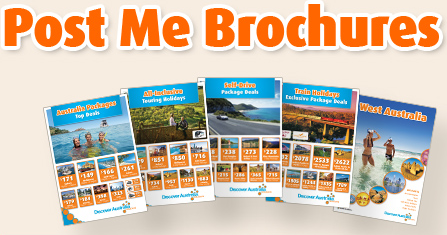 The Indian Pacific to Perth with Albany & Esperance Vasco da Gama Cruise is very popular. Many dates book out well in advance, please book soon.